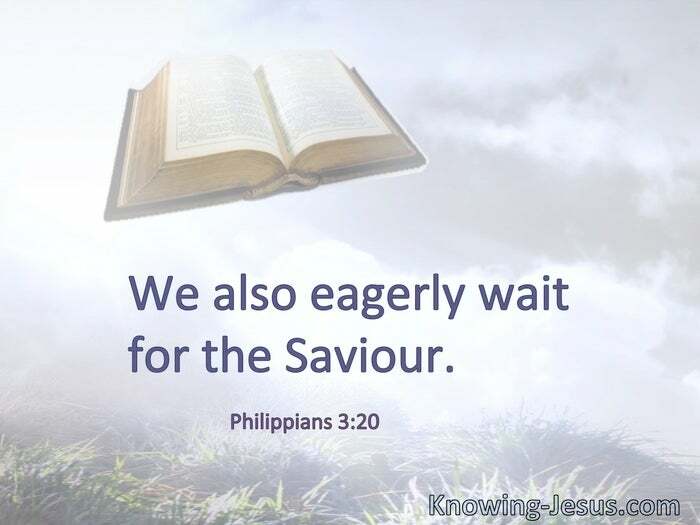 We also eagerly wait for the Saviour. The grace of God that brings salvation has appeared to all men, teaching us that, denying ungodliness and worldly lusts, we should live soberly, righteously, and godly in the present age, looking for the blessed hope and glorious appearing of our great God and Savior Jesus Christ, who gave Himself for us, that He might redeem us from every lawless deed and purify for Himself His own special people, zealous for good works. § We, according to His promise, look for new heavens and a new earth in which righteousness dwells. Therefore, beloved, looking forward to these things, be diligent to be found by Him in peace, without spot and blameless.